I always fancied myself a traveler, an adventurer, one who can pack a bag and jet off to anywhere on a moment’s notice. I’m not so much like that in real life. Just in my own little fantasy world. In real life I stress out over a trip so much until I almost hate the fact that I have to go at all. Do the laundry, stop the mail, empty the fridge, lock the windows, tie up hundreds of loose ends. It’s the result of being in charge of everything. It’s also the result of perfectionism and a touch of compulsivity. I like to see different places. I like to jump on a plane or take a long drive and see what things look like in other areas. I like to step outside my little world and see the larger one out there. I always take it one step further and envision myself living there. Have you ever wanted to live somewhere else? I mean not vacation there, but really live there? This is how I like to vacation. Rent a house, shop for food, pretend like I’m a local, even if it’s just for a week. I prefer to stay for a while so that I can taste what it may be like to live at my vacation spot. I like to see what homes go for, what people do for a living there, check out the local flavor, entertainment, shopping malls, bowling alleys. Okay. Maybe not bowling alleys. But the rest – yeah. I totally think about living there. 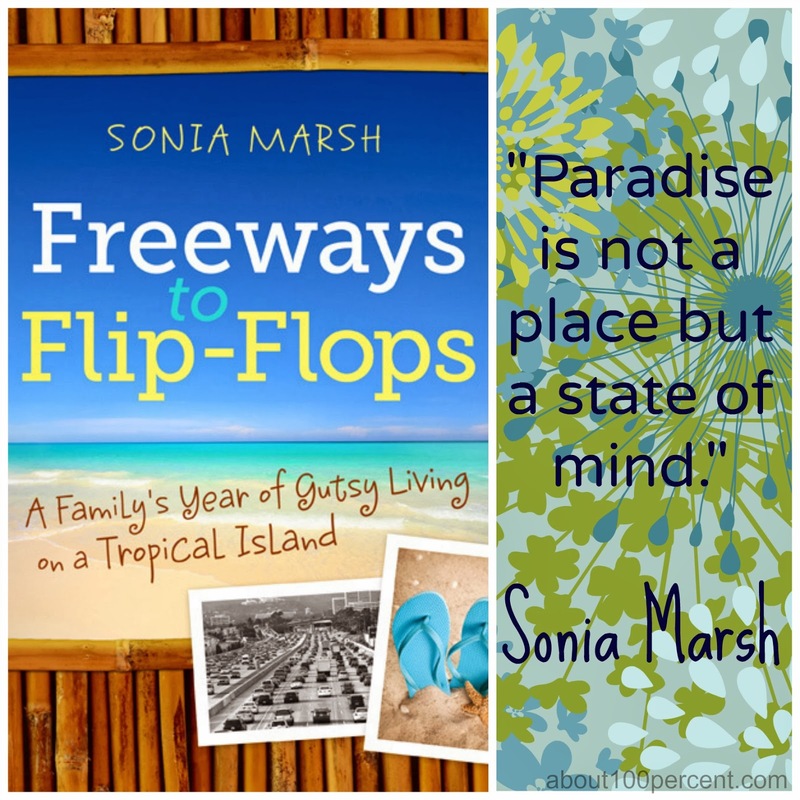 So when I was offered the opportunity to read and review Sonia Marsh’s memoir Freeways to Flip-Flops: A Family’s Year of Gutsy Living on a Tropical Island, I jumped at the chance to read about what it really would be like to live in an idyllic place. Written like a novel packed with action and emotion, this book introduces us to Sonia, a true adventurer. Raised all over the world, she settled in Orange County, California with her husband, Duke, and had three sons. Over time, the pressures of the area got to them – Duke worked at a high stress job complete with nightmarish commute, and they began having some problems with their eldest son. Desperate to change the toxic environment that they believed contributed to their family troubles, they conceived a plan: move to tropical Belize, slow down the pace of life, get back to basics and come together as a family once again. They wanted to find their paradise. So they did. Selling everything they had, they bought a home in Belize, enrolled their sons in school, and made paradise their home. They found doctors and dentists. Made friends. Adopted a slower pace. They lived there. There were bumps. Adapting to island life was not without its trials for a family used to the fast pace of southern California. They discovered that everything was made more difficult due to the level of development in Belize. They were made to realize that although they lived there and owned property, they were not truly regarded as locals. The physical challenges of the area – hurricanes, getting around by boat, invasive wildlife, pervasive heat and humidity – all made life more of an adventure than any of them had bargained for, but along the way, Sonia’s family did exactly what she dreamed: they became closer. Her boys found value in their family once again. Her marriage was tested and strengthened. Sonia’s book, a retelling of her family’s year in Belize, reads part action novel, part memoir. She reels you in at the beginning with a story of how her family dealt with a hurricane, and then takes you back to the events that led to her family’s relocation. I found myself relating to Sonia as she shares her own grief and fear over her son’s increasing rebelliousness and misbehavior, and admiring her fortitude and resourcefulness as she and her husband navigate an adventure that ended up being the best thing that happened to all of them. Sonia’s paradise – blue skies, clear ocean, white sand and palm trees – is beautifully described, and I grew to love the lifestyle she and her family shared with the friendly locals and fellow expats as they slowed down to uncover what matters. Her life there filled my need to know what it would be like to live “on vacation,” but her story also showed me that life continues on no matter where we live. She shares the high points and the lows with equal honesty, lest we think that moving to paradise means that life’s troubles are left behind. By the end of the book I felt like I knew Sonia and her family. I was invested in their relationships and was interested to know how their year in Belize had changed them individually and as a family. Sonia reflects on their year abroad with fondness and honesty, grateful for the opportunity to live there. I was grateful for the chance to see how a dramatic lifestyle change could impact a family. In the end, I realized that they found their paradise. And now you can, too! Sonia has generously offered to give a copy of Freeways to Flip-Flops away to one lucky reader of my blog. Simply enter below in the Rafflecopter widget for your chance to win a copy of this interesting story. Enter more times for more chances to win! to read for review. All ideas and opinions about the book are my own. Don't want to wait to see if you've won the giveaway? Buy the book on Amazon. 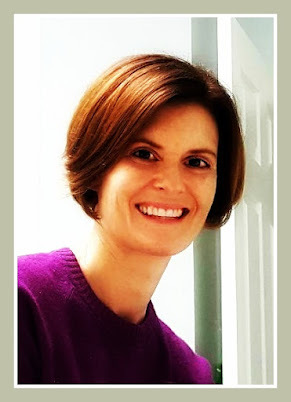 Find Sonia Marsh at her blog Gutsy Living, on Facebook, and on Twitter. It sounds like a very interesting read! I think that I would associate moving somewhere exotic with vacation, but life continues whether or not there are snowbanks or white sand beaches outside your door, doesn't it? You're so right. I was surprised by how my kids changed and the challenges we faced. Shopping for groceries was a huge challenge by boat. Also getting braces for my 14-year-old on the island was also a big challenge. Sonia, I love your perspective here. It's the things like getting groceries that interests me, but of course I've never thought about also navigating orthodontics, too! It's why I appreciated your memoir so much. sweet. I'm always looking for new books. I'm lusting over that beachy cover…..omg that looks nice and warm. Yes - the tropics are welcome any time of year, but especially this winter! Erin, Are you snowbound right now? Thanks for your Tweets and I hope you get to travel to a sunny place soon. My book will make you feel some heat and humidity. Oh Andrea, this sounds like *such* a fun read! Well Galit, I think you'll enjoy discovering all our adventures and misadventures in Belize, that my family and children went through while staying home in your pajamas. All the best. I'm a total homebody, too, Galit, but that is all the more reason to read this book from a warm spot at home!! I lived abroad for two years, but I was still far from being a local. I think it would be fun to read about someone else's experience. Where did you live? Was it also a third world country? It's always a challenge to become accepted as a local, by the locals. I hope you read my memoir. Thanks for your comment. Tammy, you will love it, especially as someone who experienced living in a different country!! I've just started an around the world in 80 nonfiction book challenge. I think I've just found my read for Belize. SO glad to have made this connection for you! You will love this book - Sonia really brings you there with her perspective. I love your review and hope that others enjoy my family/travel memoir as much as you did. Thanks and look forward to sending two copies if you wish to pick out 2 WINNERS. Think of it as a SPECIAL EXTRA VALENTINE'S DAY GIFT. I can't wait to see who wins! Thank you for your generous offer, Sonia!